Does The World Really Need Undisputed 3? Probably Not. Emmerich: Rebels... So how you wanna take 'em? In a place where the past and future meet, Dolph will make one of his strangest movies yet. 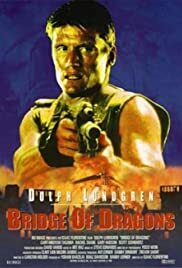 'Bridge of Dragons' is the closest thing to a fairy tale that Dolph Lundgren is ever going to do. A fairy tale that involves more wasted bullets than John Woo could ever dream of, but a fairy tale none the less. In a land where time where the past and future are apparently one, the evil General Ruechang (Cary-Hiroyuki Tagawa) rules with an iron fist. The King has been dead for some time, but Ruechang is plotting to consolidate his power by marrying Princess Halo (Rachel Shane), allowing him to sit on the throne. Enter Warchild (Dolph), Ruechang's best soldier. When Princess Halo ditches the wedding in a bid to join the rebels, Warchild is sent in pursuit. However, Warchild has a conscience attack, and it may not quite be what Ruechang was expecting. 'Bridge of Dragons' is great fun if you like Dolph and cheese. The movie cheese, not the food cheese. 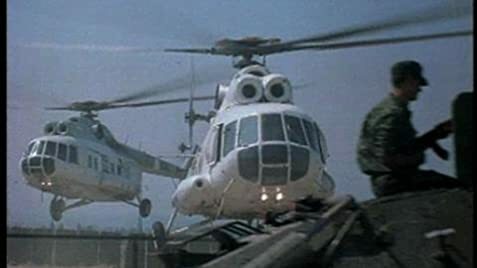 In case you were not instantly able to tell that Ruechang is evil, he conveniently has the number 666 stuck on his helicopters and jeeps, for no apparent reason. On the other hand, the name Princess Halo pretty much ensures her good-guy status, and this fairy tale world gets crazier. We have Asian rulers, Scottish bartenders, and Dolph. Princess Halo's martial arts abilities are matched only by Warchild's and Ruechang's, without explanation of course. Thanks to a crazy past / future time combination, we get to see evil guys trading horses for women, only to have Dolph shoot them and drive off in a four-wheel drive. Interesting. And a princess joining the rebel alliance? Inconceivable! 'Bridge of Dragons' is an action B-movie at its most b-ness. We have a world in which everyone dies an acrobatic death, sometimes getting more acrobatic as the deaths pile up. Dolph does beat up and shoot many people, but leaves a few for Tagawa, Chow, and Gary Hudson. The action scenes are exciting, even if you can plainly see stunt men waiting for their cue to jump from the impending explosion. Awesome. Don't be fooled by the cover. "The directorial style of John Woo" actually refers to the style of this film's director, Isaac Florentine. 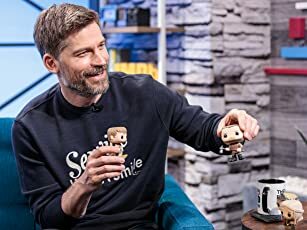 You can be excused for never having heard of him, as he seems to direct only action b-movies and episodes of 'Power Rangers'. Nor is 'Bridge of Dragons' Dolph's finest hour, as the package claims. It's like a fairy-tale version of 'Men of War' (which nearly is Dolph's finest hour), just with less of a point.